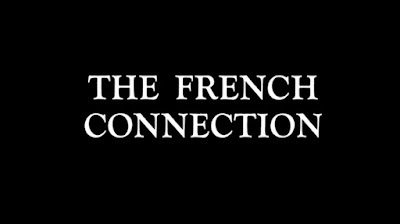 The French Connection is the second of three movies on this list to be nominated for the Oscar for Best Picture of 1971. That's not a bad track record for one year. This is also the shortest movie on my list since Toy Story. When we clock in at under two hours, something is going right. I'm actually looking forward to a slew of 90-to-100-minute movies coming up! I always say: most movies could be about 90 minutes and no one would suffer too badly. Some need more time to tell the story, but most of the time I'd pick short over long. Company: Just me this time. 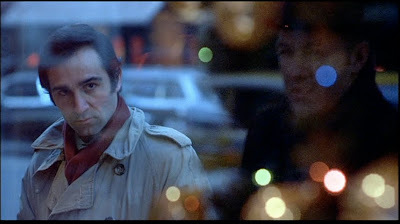 Jimmy "Popeye" Doyle and Buddy Russo are two New York City cops in the narcotics division who've been tipped off about a possible deal going down with, wait for it ... a French connection. 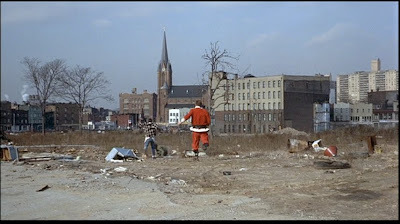 For most of the first hour, we're introduced to them, not as characters really, but as products of their environment, which is its own character: a city depicted as a murky, seedy wasteland, dried up and surprisingly devoid of women. (I think the only women I saw in this movie were a couple in a bar and one who screams and pulls her stroller out of the way of an approaching car chase.) I'll say that there isn't much plot besides what I've already described. Not really the tourist hot spot it's cracked up to be. While it's not a long movie by classic/Oscar-winning standards, God, the first hour felt long. Doyle (played by Oscar winner Gene Hackman as a foul-mouthed, racist cop, and the only character we really get to know) is on the case, and follows several leads trying to sniff out these French drug dealers. 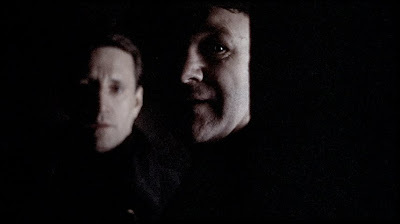 Long stretches, accompanied by a fascinating jazz score that is at once cool and chilling, are devoted to watching Doyle follow a suspect around New York. Is this drama? I think it's meant to be, but I longed for story. Shots like the one above are brilliantly staged by William Friedkin, who would go on to direct The Exorcist (amazingly, not on the list! ), a hypertense thriller. If this film was as thoroughly exciting as that one, I might have been more inclined to care, but there were only a few moments -- this one in the window, and the scene on the subway car underground -- that elicited an emotional response. Most of the rest of it showed cat following mouse. Car vs. Elevated Train! Who will win!? But then came this scene! The one that stands the test of time! 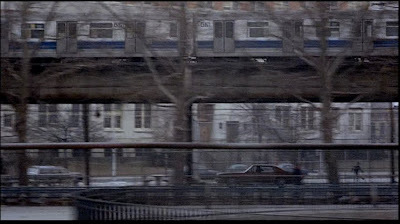 This chase sequence was something that had never been seen before, or maybe since, especially given the low budget and the lack of computer imagery. But one exciting scene does not a thriller make. After this, it's back to more following and more meandering around New York, and more of me wishing something more was happening! Roy Scheider and Gene Hackman look for the bad guy. The ending scene is staged the way a thriller's ending should be, and then ... the last shot? Without giving it away, I was disappointed. What did I sit through all this for? A satisfying ending, that's what! I'm not convinced that I'm being overly critical here. I agree, the film has its masterful moments, and the cinematography certainly creates a landscape appropriate to the material, but I don't know that it resonates with a contemporary audience that has grown used to narcotics thrillers and has maybe grown tired of the cliches. 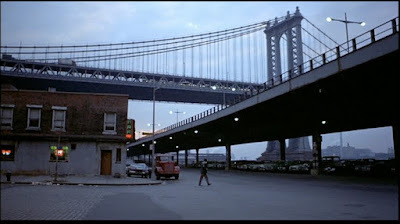 What sets this apart from any other police thriller made since 1971? I can't think of an answer just now. #92: Goodfellas is next. Hopefully I'm able to come up with more substantial arguments by then.